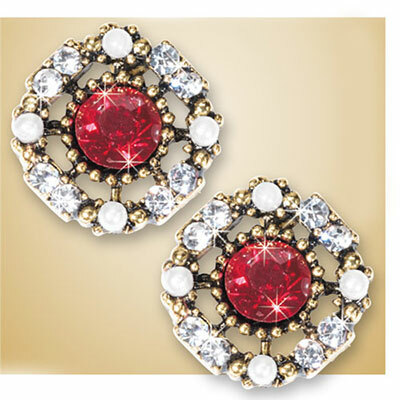 Antique inspired earrings. Gold-tone filigree surrounds faceted, deep amber faux gemstones with four faux seed pearls & eight crystals for extra flare. Pierced back. Approx. ½"dia. Enlarged to show detail.